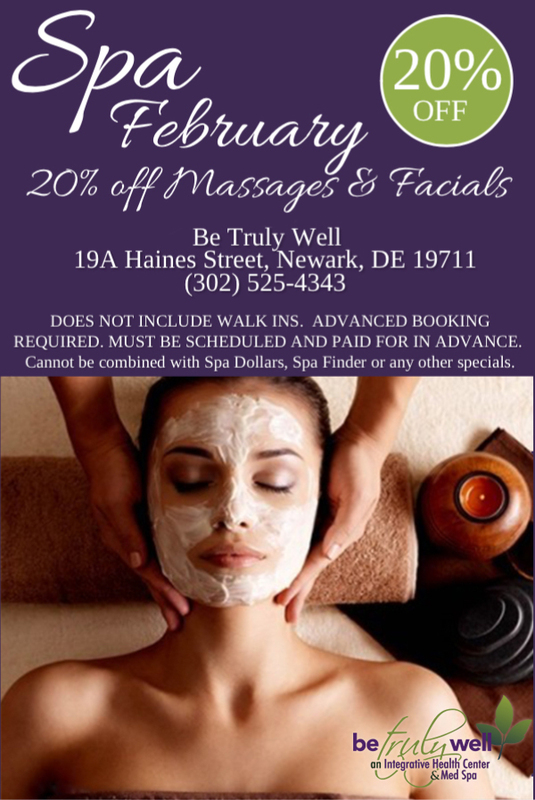 Home / Blog / Get 20% Off Massages & Facials for the month of February! Does not include walk-ins. Advanced booking required. Must be scheduled and paid for in advance. Cannot be combined with Spa Dollars, Spa Finder or any other specials. Stop Suffering & Visit Be Truly Well Today!